We specialise in a variety of niche motoring markets, including some incredible rates on Mitsubishi FTOs, providing a range of low cost, high quality insurance deals. Importing cars from markets such as Japan has become very popular. As the cars tend to have lower mileages and higher specifications the equivalent UK market product, and frequently at a very good price, these Grey Imports have become very popular with people who know their cars, and the Mitsubishi FTO is one of the most popular and well loved import cars. Because of their popularity in the UK, importing and maintaining FTOs has never been easier. Insuring them, however, can be a different matter! With over 25 years experience, Flux Cherished has a reputation for designing insurance that matches your needs to your budget. Our Cherished department has a whole spectrum of specialist schemes to cover all varieties of FTO including GPX Mivec, GR, GS and GPvR variants. We're confident our rates for Mitsubishi FTO owners represent incredible value for money. Our policies for import FTO drivers are already amazingly cheap, but you could save yourself even more money if you follow our simple tips for getting the best possible premiums. For younger drivers that will mean a saving of hundreds, or even thousands of pounds, but older drivers can save big too. Will you only drive a few thousand miles a year in your beloved FTO? Tell us, so we can get you onto a limited mileage policy. If you've passed your test recently, get yourself a PassPlus, IAM or Max Driver qualification and we can knock up to 25% or even more off your first premium. All of these schemes give the novice driver additional skills. For example, the Max Driver scheme (set up by Adrian Flux in association with Max Power magazine and the Institute of Advanced Motoring) has been shown to vastly reduce the likelihood of accidents involving drivers who have taken it. And that means cheaper insurance. Modified your FTO? That's not a problem, but make sure you tell us about all modifications to your vehicle, even if they don't enhance performance. Some modifications might even reduce your premium. Most importantly, you will also get like-for-like cover on all your upgrades, so you won't have to fork out again if you need to make a claim. Are you in an FTO owners club or online forum? If not consider joining one. There are several great clubs for FTO owners such as the FTO Owners Club, so you're sure to find one you like. People who are enthusiastic about their FTO and learn all they can about it will take better care of it, which is why you could get an extra discount of up to 15%. Keep your FTO garaged if you can, and install the best alarm system you can afford and you'll pay less. 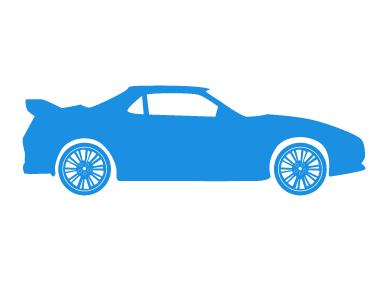 Because our staff are used to finding a policy to suit unusual and even completely unique cars, they know which insurers offer the best policies and at prices to suit almost any budget. All seasoned insurance experts, they will calculate your premium individually, using their expert knowledge of the many insurance schemes on offer. When you call us you will be speaking to a knowledgeable enthusiast, based in the UK, rather than a computer rate from a foreign call centre, which doesn't know its GPX from its Del Sol. Along with our tailor made import schemes we believe we offer the best quotation service around. ** These illustrative quotes, valid as at 13/10/2006, are provided for information only and do not form the basis of any contract or tender.